Last night a dj saved your life? Well whether you’re SpiderMan or a dj, a lot of behind-the-scenes work goes into saving people (ya’ll). Mainly, all the money and time it takes maintaining an up-to-date and interesting music library. Back in the day that entailed lots of record digging, record purchasing and physical organizing of said vinyl. How many hours spent re-filing records alphabetically? You don’t want to know. Now, in order to talk about Record Buddy, which is the point of this post, we have to drill back the conversation to Serato, the MIDI software that revolutionized djing in the 2000’s. Before then, djs carried the burden of 30 lb. crates to gigs. Like, sometimes 5 or 6 of those suckers. Then came the MP3 digital music format and with it’s popularization, Serato overhauled the entire artform. In simple terms they created a MIDI based software that accessed and transformed a dj’s digital record library into a singular physical, vinyl record on a normal turntable. We know, it seems like sci-fi magic and has to be explained several times to the normal audience member when they see it happening before their eyes. To the external view, it looks like music is being ‘projected’ onto a single pair, two blank 12”s of vinyl that never get removed from the turntables. On a fundamental level Serato made it possible to play gigs with a laptop instead of hundreds of pounds of records and you could carry your entire library with you, to boot. In the last several years another leap has happened. With the proliferation of cdjs at most venues. Those cdjs have usb drives. Now dj’s can show up with everything they need in their pocket. A flash (thumb?) drive. When you throw mp3s onto a flash drive what you end up with is a jumble of unorganized, un-sequenced tracks, alphabetized by their metadata tags (and not even the proper title). RekordBox is the solution for that. RekordBox creates a container, “crate”or “folder” where djs can put tracks in (at the very least) sequence, for performance. One very steep downfall though, you don’t get all the edits you’ve made to the tracks. If a dj has used Serato (or Traktor) for any amount oftime.. they’ve invested a lot of elbow grease (and we mean A LOT) with performance marks on each song (start/stop cue points, loops, etc). Those marks are permanently available and edited into track display when playing every time.This information, is invaluable to a long-time dj. At this point in the artform.. performance edits to songs contributes wildly to a dj’s style and technique. We found an extremely little-known, niche software called Rekord Buddy. It costs 59$ and it’s a companion software to RekordBox and adheres all the technical info we were lamenting the absence of, a moment ago. 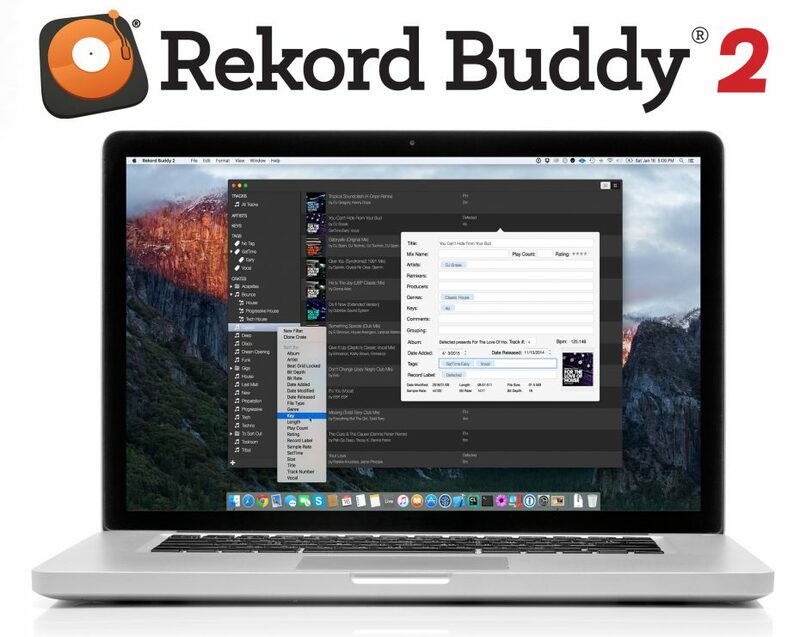 WHY hasn’t RekordBox acquired RekordBuddy? We have no intel on that mystery. RekordBuddy is a small operation run by the creator. Literally, when you write into NextAudio Labs, you are gonna get Founder Damien Sirkis promptly writing you back with help. And help you will need. We’ll be honest, learning how to make the softwares jive is kinda like setting up a hack. So we’re here to walk you through it. Tune in next week for part two of this post, where Josh will explain in step-by-step detail the process of actually getting your songs from their comfy home in Serato to their new shared home on a USB flash stick!